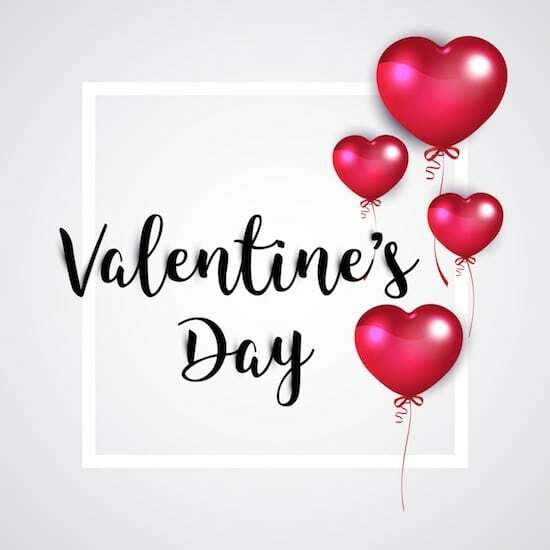 Valentine’s Day isn’t just for grownups; kids love it, too! Besides all of the candy and treats, it’s always wonderful to express your love and receive love in return. 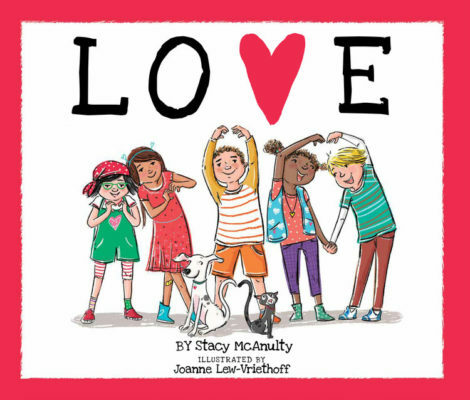 Critically acclaimed children’s author Stacy McAnulty has a new book out that is perfect for Valentine’s Day – LOVE – that continues to share a message of diversity, inclusivity, and compassion that is more needed now than ever. Illustrated with a diverse cast of characters, LOVE shows that love can come in all sorts of shapes and sizes. The contrast between the text and the colorful art turns stereotypes on their heads as “Love calls for bouquets of flowers” accompanies an image of a young boy giving a hand-picked bundle to his sick grandfather, and “designer greeting cards” shows a little boy painstakingly drawing a card by hand. All kinds of love are celebrated within these pages, and all are treated equally: a family with two moms, a military mom overseas, a child learning sign language to communicate with their friend, adopted siblings, new babies, beloved pets, and all faiths and ethnicities. 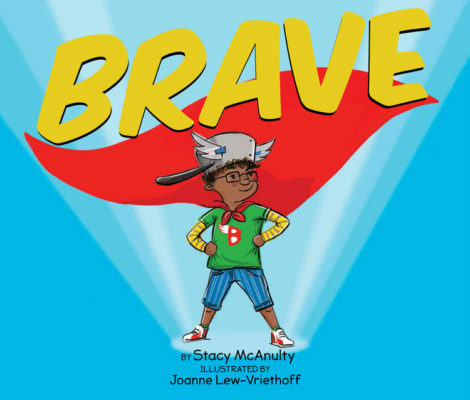 Stacy McAnulty has two other titles that also show love by empowering kids to be themselves: BRAVE and BEAUTIFUL. Read on for more, and be sure to enter the three-book giveaway below! BRAVE is an empowering picture book for all kids that demonstrates to children that they can be real-life superheroes and that all kids have what it takes to be brave. Superheroes seek adventure, never give up, and stay calm when others are afraid. Superheroes are brave. But they aren’t the only ones. Kids are brave every day. When they are told they are too little but accomplish something big. When they check for monsters under the bed, just in case. When they face something uncertain, whether a thunderstorm or a hospital visit. When they stand up for what’s right, even when it means facing consequences. Like superheroes, brave kids can save the world, just by being brave. This book inspires kids to follow their hearts and to have courage, no matter the situation. Every girl is unique, talented, and lovable…every girl is BEAUTIFUL. Much more than how one looks on the outside, true beauty is found in conquering challenges, showing kindness, and spreading contagious laughter. Beautiful girls are empowered and smart and strong! BEAUTIFUL breaks barriers by showing girls free to be themselves: splashing in mud, conducting science experiments, and reading books under a flashlight with friends. This book encourages all girls to embrace who they are and realize their endless potential. 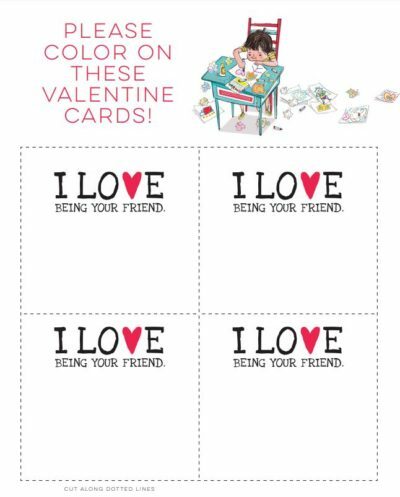 Just in time for Valentine’s Day, you and your child can print some fun LOVE activity sheets! Print and create your own valentine cards, or follow the writing/drawing prompts to show your loved ones that you care. Stacy McAnulty is a children’s book author, who used to be a mechanical engineer, who’s also qualified to be a dog therapist (is that a thing??? ), a correspondent for The Daily Show (why not), and a Green Bay Packer coach (totally!). When not writing, Stacy likes to listen to NPR, bake triple-chocolate cupcakes, and eat triple-chocolate cupcakes. Originally from upstate NY, she now lives in Kernersville, NC with her 3 kids, 3 dogs, and 1 husband. 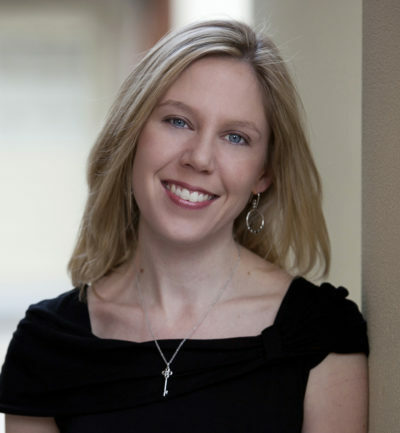 Reader Giveaway: One lucky Jinxy Kids reader will win a Stacy McAnulty book prize pack which includes Brave, Love, and Beautiful. To enter, just complete the entry form below by 11:59 pm ET on 2/6/19. Good luck! Use a heart cookie cutter for heart-shaped French toast. Serve with red berries, sprinkled with powdered sugar. I would like to read the Brave book. I like to make Valentine’s Day cupcakes with my granddaughters. “Beautiful” looks like a nice book! I look most forward to reading the “Love” book. On Valentines day with the kids I usually make heart shaped pancakes for breakfast. We also made homemade cards for family & friends. Thanks for the giveaway & Happy Valentines Day! I like to send special notes throughout February. I think my son would enjoy brave. I love cutting hearts out of construction paper with my kids. And I’m most looking forward to reading Brave! Love making homemade valentines and personalized frosted heart shaped sugar cookies. It is tradition. Love to bake with my daughter! We bake and decorate Valentine’s Day themed treats. We also make handmade cards for each other. We heart baking cupcakes together! I love to do art with my bestfriends child. I will go over this next time and we will color and make things for Valentine gifts and my fridge. I LOVE going to their parties at school. Just got a text from my daughter in law inviting me to the twins preschool party. I will be there. My daughter would love the brave book. She has super hero costume she always wear. For valentines we’ll be making cupcakes together. We love making Valentine’s cookies and cupcakes. I’m most excited for Love. my kids and I always made cards and gifts from stuff we had around the house to give out. My favorite activity to do every year with my little ones is for us to make our homemade lollipops and tape them to their Valentines Day cards they pick out for their preschool classroom to pass out! I also make them a personal Vday basket for them to wake up to! I love the idea this would teach our kids, would love to win! I would like to read the book Love. I love the Beautiful book…would love to share that with my niece! What’s on the inside is more important than what’s on the outside! I love the book LOVE! I am looking forward to reading Brave. I would like to read Brave. My daughters would love new books! They get read to every night and I’m sure get tired of the same 100+ books we already have lol. Never hurt to have more! I’m looking forward to reading Brave. A small evergreen tree gets red lights and tinsel and heart shaped ornaments to greet people at the entryway. I always put a note and treat .in my kids lunches for holidays. They would miss it if I skipped it. They all look great, but I think I’m most looking forward to Brave. We have decorated our shoe boxes to take to school. We always enjoy that. I’m most looking forward to reading Love. I’m looking forward to reading the Beautiful by Stacy McAnulty book with my granddaughter. Baking Valentine’s cookies is a favorite activity here! 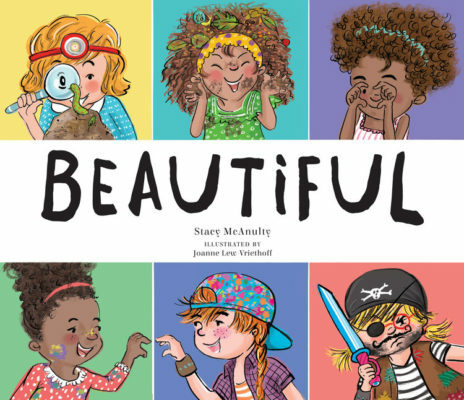 I would most look forward to reading Beautiful, but I think all the books would be wonderful and beneficial to any child. I’m most looking forward to reading Love. All of them look awesome though! I like making Valentine’s Day cards with my grandchild. I am most looking forward to reading “LOVE” to my grandchild.